﻿ African Oceans Manor on the Beach Mossel Bay. JIMAT di Agoda.com! Ada soalan mengenai African Oceans Manor on the Beach? Direka untuk kedua-dua tujuan perniagaan dan percutian, African Oceans Manor on the Beach terletak di lokasi strategik di Bay View; salah satu kawasan yang paling popular di bandar tersebut. Hotel ini terletak 8.0 Km dari pusat bandar dan menyediakan akses kepada kemudahan bandar yang penting. Persekitaran yang terjaga dan kedudukan berhampiran dengan Kasino Garden Route, Post Office Tree, Muzium Dias Caravel memberi hotel ini daya tarikan istimewa. Menawarkan tetamu hotel perkhidmatan yang unggul dan pelbagai kemudahan, African Oceans Manor on the Beach komited untuk memastikan penginapan anda berada di tahap seberapa selesa yang mungkin. Hotel ini menyediakan akses kepada pelbagai perkhidmatan yang luas, termasuklah Wi-Fi percuma semua bilik, pengemasan harian, pendiang api, penghantaran barang runcit, khidmat teksi. Semua bilik tetamu menawarkan pelbagai jenis tahap keselesaan. Banyak bilik turut menyediakan televisyen skrin rata, internet wayarles, kolam renang peribadi, internet wayarles (percuma), tab mandi pusaran air untuk memuaskan hati tetamu. Hotel ini menawarkan banyak peluang rekreasi yang unik seperti kolam renang terbuka, memancing, taman, sukan air (bermotor), sukan air (tidak bermotor). 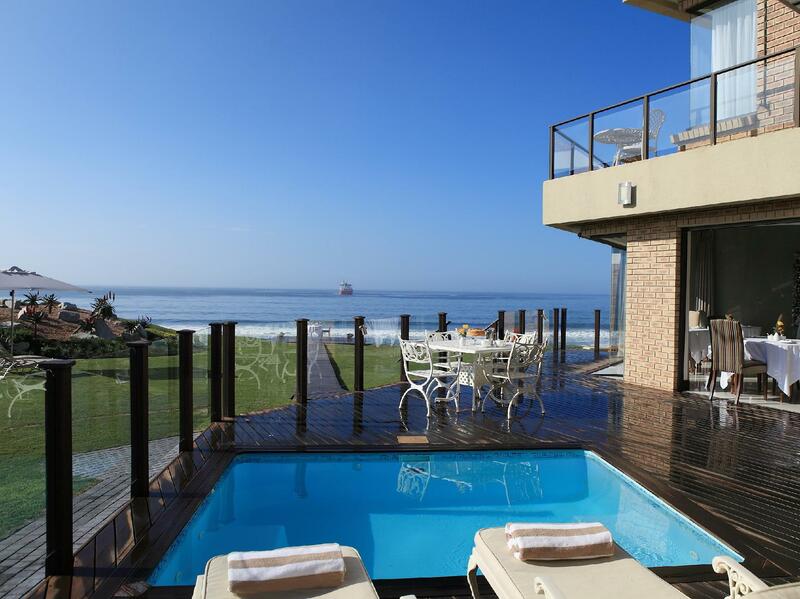 African Oceans Manor on the Beach adalah destinasi sehenti anda bagi penginapan hotel berkualiti di Mossel Bay. The decoration in the villa is not nice. It has no cosy atmosphere. Friendly informative staff - luxurious accommodation and excellent breakfast. Excellent property, staff and amenities. Every small thing was thought and taken care of... highly recommend...excellent!!! 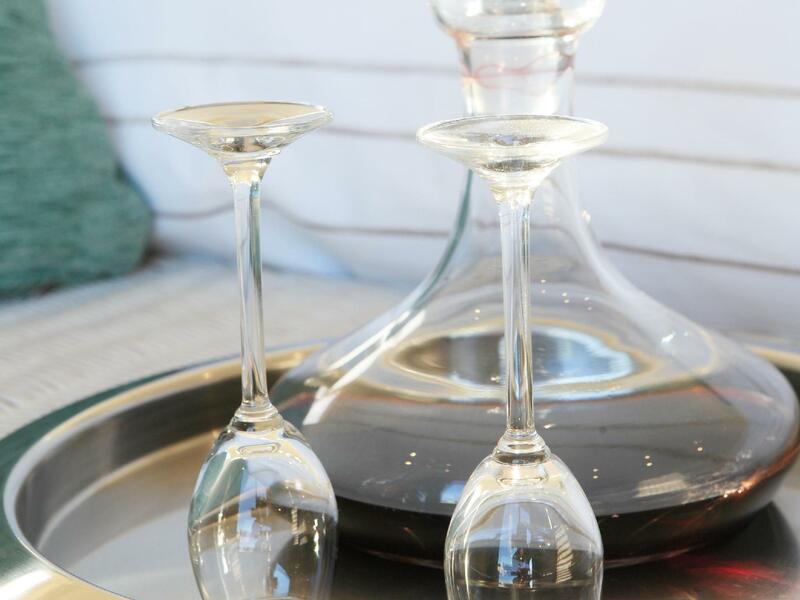 A perfect place to stay when transiting to the garden route. Super clean and charming Lodge right on the beach. The staff was super nice and the breakfast was super tasty and great choice of fresh meals. Amazing room and the best breakfast in South Africa. Only one disadvantage is that Mossel Bay is an industrial port so the ships lining to port took the shine off - shame we couldn't play 'Bsttleships'!!! Wonderful, friendly, very well trained staff. Very comfortable room. Position on the beach. I cannot speak too highly about our stay at African Oceans. The staff very excellent, so we'll trained and so very helpful. The accommodation was spotless and our room had everything that one would expect in a top class hotel.. Breakfast were excellent and any item required, if not in stock, was provided within a few hours. I would highly recommend African Oceans as a place to stay if visiting any where near Mossel Bay. Lovely and Beautiful Room / Beautiful View of the Ocean / Delicious Breakfast ..
Best place which i ever stayed in South Africa. Lovely house, lovely design, beautiful and comfortable room with a nice view to the ocean. Breakfast was good with lots of option, freshly cooked and prepared by the staff. We can walk to the ocean which is only 2 mins walking. Located at great location. The only downside is poor internet connection in our room but no problem because they have a nice living room which i can browse internet there. Lovely big clean comfortable room. Breakfast was delicious, with lot of variety. Location of hotel is beautiful - situated on the beach, with beautiful views. 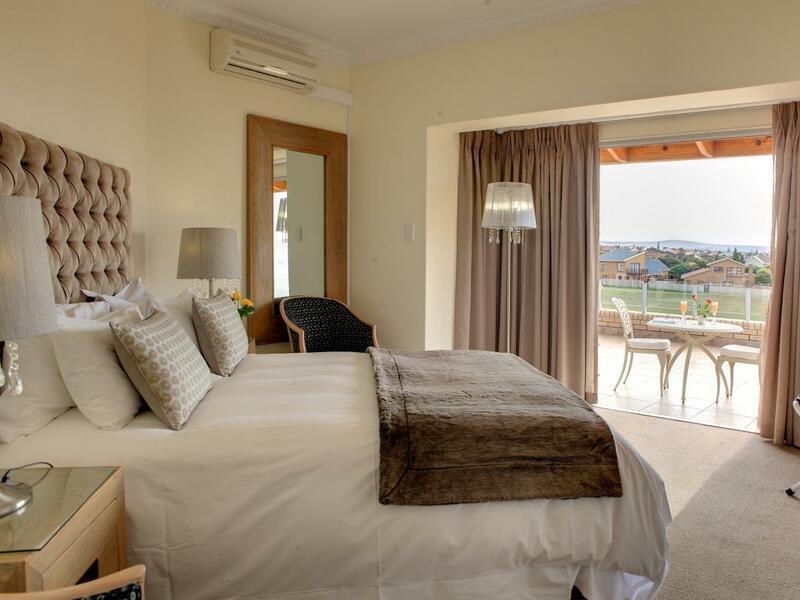 African Oceans Manor on the Beach is a truly beautiful, comfortable and homely hotel located right on the beach. 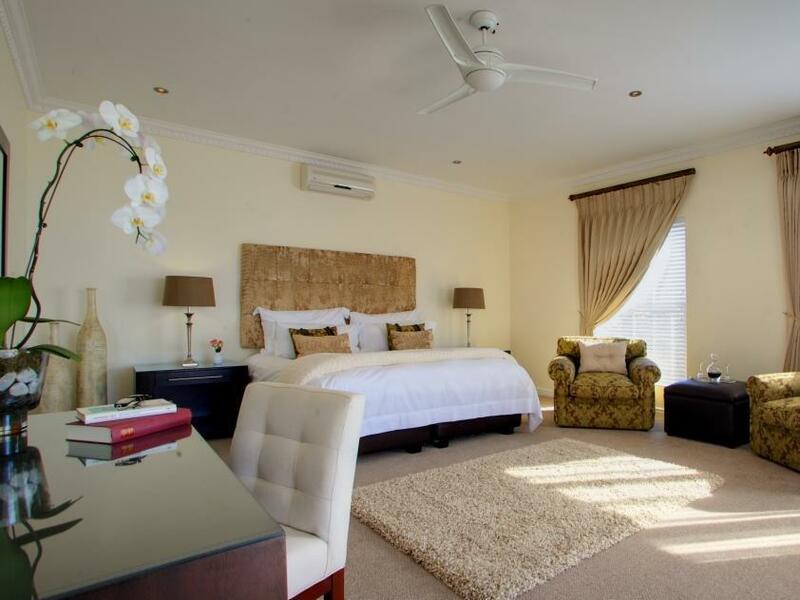 The rooms are beautifully decorated and very comfortable - the linen is soft and luxurious. Upon arrival one is welcomed and made to feel "at home". The mini bar is fully stocked with everything one could wish for. Fast/free internet connection is available making it easy to correspond and work from the comforts of your own room. Breakfast is delicious - with so many options on the menu one cannot go hungry. Views from the breakfast room as well as guest rooms are stunning. I would recommend this hotel to anyone. best place we have stayed in s.africa. absolutely perfect, everything you could want was provided. in particular staff in reception- John and Louisa (?) were excellant. lovely, lovely place, wish i could stay for a year!!! Beautiful stay for 2 nights at African Oceans. The hotel lives up to its billing as a 'must-stay' on the garden route. Simply blown away by the views, the excellent location on the beach, the lovely and warm staff who go the extra mile to make you feel at home, and indeed, the amenities used. A brilliant, brilliant hotel. 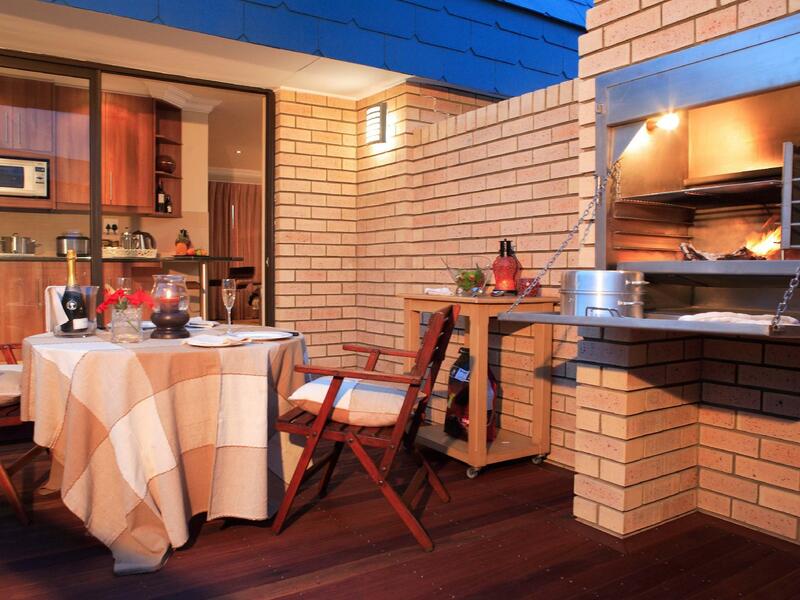 excellent friendly service with beautiful spacious rooms and awesome views. really enjoyed our 5 days stay. the staff were extremely helpful and friendly. The hotel itself was excellent and with lovely rooms and views, very clean and well equipped. we stayed here 1 night on the way back to capetown from plettenberg. we are happy to find this hotel. everyone truly provided a service with a smile and very friendly. the hotel has a magnificant view and can be seen from the room. the room has everything that the 5 star hotel provides. they even provided cookies and welcome wine in the room. breakfast was also delicious, order to cook. we will definitely come back here again.